The leader of the “smart home” industry doesn’t want to call it that any more. Nest CEO Tony Fadell says his company uses the term “Conscious Home” because its connected thermostat and smoke alarm create a two-way relationship with users where both help and teach each other. “We call it the conscious home. Smart is overused. It’s not smarter than you” he told interviewer Om Malik on stage at the GigaOm Roadmap conference in San Francisco. Malik kicked off the talk by asking about Nest’s acquisition by Google. “The courtship took a long time. We started discussing it [in] August of last year, and the deal didn’t close until February” Fadell recounted. “There were many, many conversations about things other than finances”, including culture, organization, resources, and why the companies would be valuable to each other. 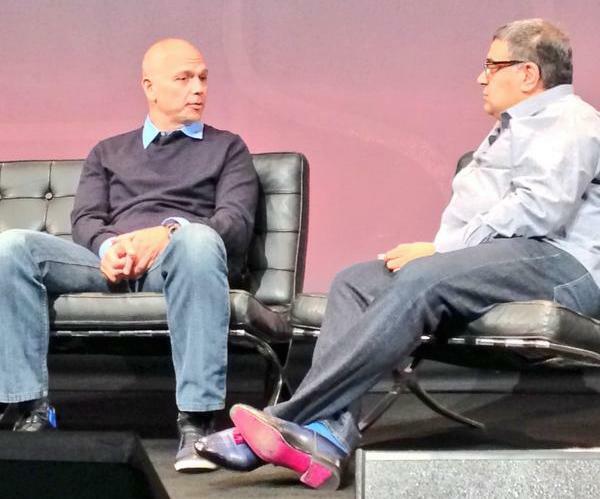 Fadell was cagey about just what product Nest would build next. I’m betting it has something to do with locks and security. But Fadell did note Nest was assessing opportunities around sleep. However, he wants to wait until current products demonstrate they actually improve people’s slumber before Nest invades dreamland.